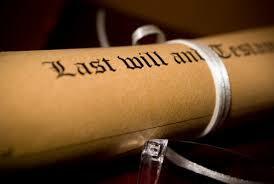 Italian succession law last will and testament italian lawyer. Succession law in Italy is provided for by the Civil Code. It disciplines two main types of succession: 1) inter vivos and 2) mortis causa. The first disciplines the acquisition of rights or property between living persons (natural and artificial) the second the acquisition of rights or property by inheritance under the laws of descent[i] and distribution[ii]. It is of interest of this article to TREAT about the second type of succession the mortis causa, the after death succession. legal succession, established by law, that occurs in the absence of a will or a valid will. The two types of successions are regulated by principles that interrelate and interfere with each other, trying to determine legal certainty and, at the same time, disciplining as many outcomes as the living cases of inheritance. The testate succession is based on the valid will, or testament: “the legal expression of an individual’s wishes about the disposition of his or her property after death; esp., a document by which a person directs his or her estate to be distributed upon death”[iii]. For the Italian law the testament is a revocable act that allows the testable to dispose of all it’s assets or of part of them upon death (art 587 c.c.). The Italian law requires the person disposing of it’s estate to have the capacity to make a will (testable), explicitly excluding the persons that have not reached the legal age, the sound mind or have made a testament with a diminished capacity, even if temporary or transitory. The testament must be written, it can be handwritten (testamento olografo) or written with the form of notary public act – art. 601-608 c.c.-. The will disposing of rights and properties in the handwritten form must by law entirely be written by hand, dated and signed by the testable in a way that it clearly allows to attribute it to the person disposing of his estate. The date of the handwritten testament must indicate the day, the month and the year. The testament expressed in front of the Italian notary public is considered to be public and requires the presence of two witnesses. The testable declares his will before the notary public, that provides with the writing and, successively, reading of the testament to the testable and the witnesses. The testament must indicate the place, the date and the hour of delivery to and the signature of the testable, the notary and the witnesses. on the other side, another operates to guarantee that lineal heirs, collateral heirs receive a legal portion (legittima) of the estate of the decedent. Therefore, the Italian law gives relevance to the will of a decedent and then, if missing, to the legal succession (or intestacy), BUT the legal succession has the power to interfere with and modify the testamentary succession if the legal portion (legittima) for forced heirs[iv] is not respected by the distribution operated through the will. [iii] Black’s law dictionary, St. Paul, USA, West Publishing, 2011: – Will – 2) “the legal expression of an individual’s wishes about the disposition of his or her property after death; esp., a document by which a person directs his or her estate to be distributed upon death”. [iv] Black’s law dictionary, St. Paul, USA, West Publishing, 2011: – Forced heir – “A person whom the testator or donor cannot disinherit because the law reserves a part of the estate for that person”.